Sunday, March 3 is World Mission Sunday. Episcopalians are invited to focus on the global impact of the Baptismal Covenant's call to "seek and serve Christ in all persons," and participate in God's mission around the world. As Christians, we are called to reach out across borders, across walls, across divides and to the whole of humanity. There are no geographical borders in God's world, there is only love, and love knows no boundaries. Currently, Episcopal Church missionaries serve in many international locales, including Aotearoa, New Zealand and Polynesia, Brazil, Costa Rica, Dominican Republic, England, El Salvador, Haiti, Honduras, Hong Kong, Israel/Palestine, Panama, the Philippines, Qatar, Romania, South Africa, and Tanzania. The next distribution Sundays are: March 3, 12 Noon to 2 PM; and March 17, 12 noon to 1 PM at the Harbor House. On February 9, our diocese gathered in Special Convention, and elected the Rev. 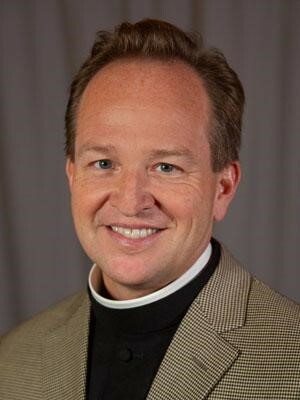 Thomas James Brown to serve as the Tenth Bishop of Maine. It was a spirit-filled and exciting day. But... where is he? What happens now? In The Episcopal Church, a bishop is elected for the whole Church. So now, the whole Church must speak. First the Church, through the Presiding Bishop's Office, asks for medical and psychological testing. 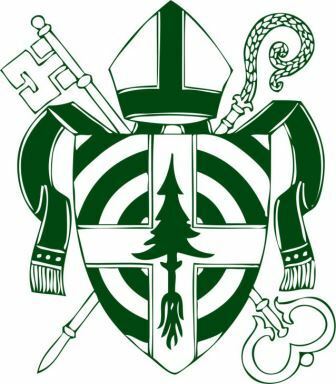 Once that testing has been accomplished, the Standing Committee of the Diocese of Maine and the Presiding Bishop's Office seek consents from a majority of Standing Committees and Bishops with Jurisdiction from every diocese across the Church. Some of that work is done electronically these days, but it may still take several weeks. In the meantime, Bishop-Elect Brown is saying good-bye to the people of the Parish of the Epiphany, Winchester, MA, and preparing his household for the move to Maine. He will complete his work at Epiphany at the end of March. In addition, the Standing Committee of Maine is working with him on a Letter of Agreement. We anticipate that, by God's grace, Bishop-Elect Brown will be in the Diocese of Maine by late April. Bishop-Elect Brown will work with Bishop Lane for 6 - 8 weeks prior to the consecration on June 22. The Office, the Standing Committee and the Transition Committee are already at work preparing for the consecration. The Service of Consecration and Ordination belongs to the Presiding Bishop and there is a lengthy protocol to follow. Planning has already begun and there is a meeting scheduled for next week. More information will be forthcoming as plans take shape. As you can see, there's a lot going on. We ask your prayers for a smooth transition as we all follow the Way of Love. Lenten Worship and Supper: An opportunity to gather with brothers and sisters from all our island churches for a quiet evening worship followed by a simple soup and bread supper, 4:30 p.m. on the following Wednesdays in Lent. Come Home for Supper returns on Saturday, March 2nd. The suppers, held at various parishioners' homes from St. John, St. Saviour's, Church of Our Father and St. Mary & St. Jude, are a way for folks to become better acquainted and to increase the feeling of community in our island congregations through food, fellowship and fun! Sign up sheet is in the undercroft. If you would like more information or would like to host, please contact Rita Redfield, 244-4025. March on Mt. Desert Street will be held on Mardi Gras Tuesday, March 5. A progressive dinner starts at 5:15 with a short play by Connors Emerson students at the Abbe Museum; 5:30 Appetizers at the YMCA; 6:00 Salad at St. Saviour's; 6:30 Soup and Bread at Jessup Library; 7:00 Dessert at Bar Harbor Congregational Church. Free and Open to the Public. Lenten Quiet Day at St. Saviour's – Saturday, March 23, 8:30 AM – 2:30 PM. You are invited to a quiet day of reading, prayer, meditation and worship focused on the Book of Lamentations and what it teaches us about sharing pain and grief with God and one another. Light lunch will be provided and space will be limited; please make a reservation with Muffet at info@StSaviours.me by March 14. There is no cost, but donations to the Rector's Discretionary Fund will be gratefully accepted. Shrove Tuesday Pancake Supper will be held at Church of Our Father this year on Tuesday, March 5, from 5:00-7:00 p.m. If you would like to help, please contact Mike Bullard (266-5913). Ray McDonald, Michael Shook, Emilie Klusmeyer O'Connor, Jessica Stewart, Tom Lee, Carroll Fernald, George Swanson, Richard Ramsdell, Mike McFalls, Cassandra Crabtree, Beth Pfeifer, Eric Lange, Dorothy Clunan, Anne DeGolyer, Jim Risser, Bill and Barbara Loveland, and Win Short. Please join us for a forum this Sunday 2/24 at 9am. We'll reflect briefly upon the spiritual practices we've engaged in during Epiphany (from our Advent study, The Way of Love), and take a brief look ahead to Lent, which begins on Ash Wednesday 3/6. We'll then open up a parish conversation with updates about the partnership. Worship begins at 10am and includes a special musical offering this Sunday. On Sunday 3/3, our beloved organist Stephen Sampson will tell us about his recent trip to India, sharing his experiences, observations, pictures, and a bit of music. As Stephen and I have been affectionately calling this forum, please join us for "Bollywood in the Basement!" at 9am. Vestry Member in Charge: Ted F.
Our third Sunday distribution was light in numbers, but when added to a heavy first Sunday, we saw an actual increase in vouchers distributed over last February, as well as January. For February 2019 we distributed $16,480 worth of vouchers to 384 neighbors: 282 adults, 102 children. That's a .09% increase over last February. The vouchers were distributed to 213 west side households. There were 7 new households registered make up of 14 children and adults. I want to thank Steve of Old Dog Baking Company for supplying four dozen loaves of bread in February for our neighbors. Steve has made a commitment to supply bread each month. Yesterday's bread was baked on the day before and was still warm! You will be able to buy Old Dog Bread at Sawyer's Market this spring. I want to report that we received over $9,000 in contributions to help our "shutdown" neighbors last month. $8,000 of that was from a single contribution. It was a very gratifying response from the neighborhood to our Coast Guard and Park Service neighbors. Overall, this year's Annual Appeal results have been running ahead of last year's. What I remain most grateful for are the supporters of the Pantry who faithfully give year after year. Giving for our neighbors-in-need is very gratifying to both the giver and the receiver. I also appeared before the Southwest Harbor Medical Center Committee last Tuesday to make an appeal for their support of our work and was very warmly received. Finally, as always, it is you, our faithful volunteers who make this work a reality. You never fail to give your full presence to our neighbors who sit and stand across from you at the voucher, registration, check-in, and pantry tables. You have done so much to break down the barriers between "giver and receiver" in this work. We are truly and simply neighbors helping neighbors. Thanks yesterday to Ellen Brookes, Ken Brookes, Beth Renault, Sandy Wilcox, Gloria Higgins, Dianne McMullen, and Dean Henry. The next distribution will be Sunday, March 3, 12 Noon to 2 PM, in Harbor House. The Rev. Thomas James Brown was elected to become the 10th Bishop of the Diocese of Maine at a Special Electing Convention in Bangor on Saturday, February 9. One of five nominees, Rev. Brown, is currently serving as Rector of the Parish of the Epiphany in Winchester, MA. He was elected on the 3rd ballot, receiving a majority of clergy and lay delegate votes representing 60 year-round congregations and 20 summer chapels. The other nominees were Rev. Kenneth Brannon, Rev. Rachel K. Taber-Hamilton, Rev. Anne Mallonee and Rev. Janet Waggoner. In making the announcement, The Rev. Maria Hoecker, Rector of St. Columba's in Boothbay Harbor and President of the Diocesan Standing Committee said "We have been blessed by the Holy Spirit today with the election of Thomas Brown and the gifts he will bring as our next Bishop. We thank the Committees and all involved across the state for their prayerful, dedicated and faithful work, as well as the other nominees who were called to pursue this quest with us." In addressing the Electing Convention following announcement of the results, Bishop-elect Brown commented, "during the walkabouts it was so clear to me that the church in Maine is living the good news of Jesus Christ. I am humbled and overjoyed to accept the invitation to join the people of Maine as their bishop." The Bishop-elect told the delegates, "I give God thanks and praise for this call, and the opportunity to continue building the church in Maine on Christ the solid rock. Bishop Lane and his family, along with the diocesan staff, and every congregation are in my prayers as they continue in the holy work of transition. To God be the glory." Pending consent of a majority of the bishops with jurisdiction and the diocesan standing committees, Bishop-elect Brown will be ordained and consecrated on June 22nd at St. Luke's Cathedral in Portland. Presiding Bishop, Michael B. Curry will officiate. Bishop-elect Brown will succeed the Rt. Rev. Stephen T. Lane who has served the Diocese since 2008 and will retire in June. The bishop-elect and his spouse, Rev. Thomas Mousin, will be moving to Maine later this Spring. Come Home for Supper returns on Saturday, March 2nd. The suppers, held at various parishioners' homes from St. John, St. Saviour, Church of Our Father and St. Mary & St. Jude, are a way for folks to become better acquainted and to increase the feeling of community in our island congregations through food, fellowship and fun! Sign up sheet is in the undercroft. If you would like more information or would like to host, please contact Rita Redfield, 244-4025. The Friends of Music at St. Saviour's have rescheduled this concert of Franz Schubert's song-cycle Winterreise ("The Winter Journey") on Sunday, February 24, at 4:00 pm, performed by baritone Jeffrey Heyl and pianist Daniel Pyle. Winterreise is a set of 24 songs, on poems by the German poet and soldier Johann Müller, and set to music by Franz Schubert in 1828, the last year of his all-too-short life. They constitute a dramatic monologue, a series of meditations by a young man as he is journeying on foot in the heart of winter. He is leaving his home village, where he had formed a deep attachment to a young woman whom he hoped to marry, only to have her reject him in favor of another. As he wanders through the snowy countryside, the sights and sounds which he encounters trigger reflections on his grief and despair. Jeffrey Heyl sings extensively in and around St. Louis, including Orff's Carmina Burana, Brahms' Ein Deutches Requiem at the University of Missouri-St. Louis, the Beethoven 9th Symphony, Vaughan Williams' Dona Nobis Pacem & Mahler's Songs of a Wayfayer with Robert Hart Baker and the St Louis Philharmonic, and the midwest premiere of Mark Hayes' Requiem with conductor Kevin McBeth. He has appeared with the St. Louis Symphony with conductors David Robertson, Nicholas MeCegan, John Starguard and in Robert Kapilow's Summer Sun, Winter Moon where he sang the part of Raven with the composer conducting. In the past two seasons he was bass soloist with the symphony in Beethoven's Mass in C, Nielsen's 3rd Symphony and Weill's Flight of Lindbergh. Dr. Heyl holds degrees from the Eastman School of Music, the Hartt School of Music, & the University of Iowa. He presently teaches at Millikin University and Maryville University. Admission to the concert is free, but donations benefitting the Friends of Music will be welcome. The church is handicap accessible to all, and parking is available. 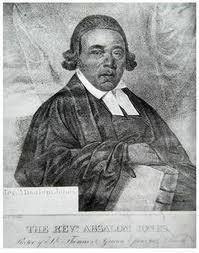 Absalom Jones was an abolitionist and clergyman. He was born enslaved to Abraham Wynkoop in 1746 in Delaware. Jones moved to Philadelphia after his master sold his plantation along with Absalom's mother and six siblings. Jones bought his wife Mary's freedom and later his master awarded Absalom emancipation in 1784. In 1787, with his friend Richard Allen, they founded the Free African Society, a mutual aid benevolent organization that was the first of its kind organized by and for black people. Jones was ordained a priest on September 21, 1802, faithfully serving the African Episcopal Church of St. Thomas in Philadelphia, a church which remains a vibrant congregation today. Michael Shook, Emilie Klusmeyer O'Connor, Jessica Stewart, Tom Lee, Carroll Fernald, George Swanson, Richard Ramsdell, Mike McFalls, Cassandra Crabtree, Beth Pfeifer, Eric Lange, Dorothy Clunan, Anne DeGolyer, Jim Risser, Bill and Barbara Loveland, and Win Short.